The second poll is just plain ignorance. 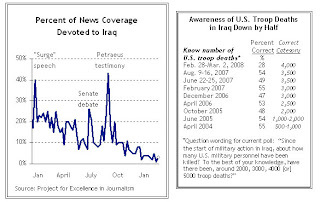 How many of those polled that didn't even get close to the number of American troop dead in Iraq, have "Support the Troops" bumper stickers? I don't know that it shocks me too much considering that our own government doesn't even count the number of Iraqi's we've killed.